Disconnect the 4 ignition coil connectors. 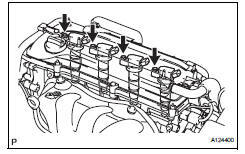 Remove the 4 bolts and 4 ignition coils. Install the 4 ignition coils with the 4 bolts. 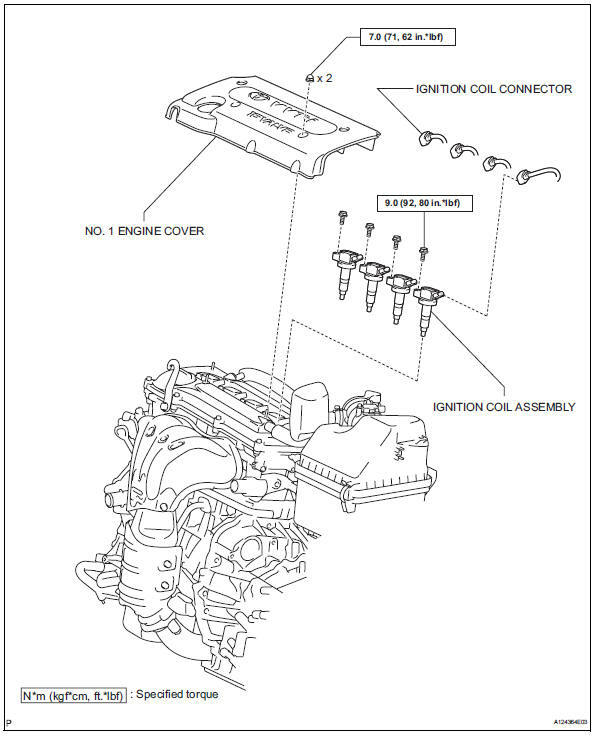 Connect the 4 ignition coil connectors.